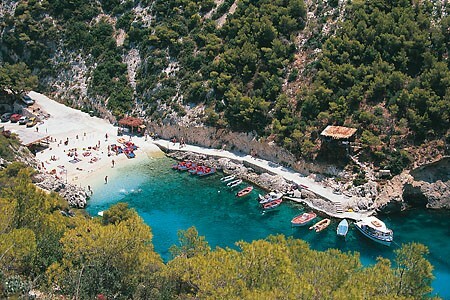 Starting from Alykanas Tourist Center or Alykes Crossroads, you can visit Makris Gialos and Saint Nicholas Bay. To get to Makris Gialos you follow the new road along the northeast coastline. 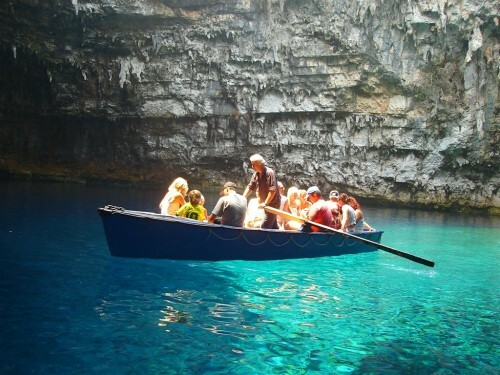 From Saint Nicholas (Skinari) using the big experience (25 years) of the boat cooperation you can go and visit the Blue Caves, Peristeronas (real nature art) and the Smuggler's Wreck. On your way to Saint Nicholas(Skinari) is the village Volimes with a «Flokati» (Rugs) street market. You may also visit the Lighthouse in Skinari area (Northest point of Zakynthos) and swim on your own to the Blue Caves. There are two ways to see the Smuggler's Wreck. The first one is by boat, as described in day 1 tour. The second way, is to see the Wreck from a 200 m high cliff. So, you get back to the mountains through Anafonitria village square towards the monastery of "Saint George of the Cliffs". After about 1 km from the monastery, you stop the vehicle and walk to the right to a small peninsula till you see the famous view of the wreck. To make your return more interesting, follow the road through Porto Vromi(also boat trips to the Wreck), Maries, Kampi (the Cross Monument), Exohora, Agio Leonta (Limnionas Bay) and Kiliomenos. If you end up at Kiliomenos after 7:00 p.m. you must visit the tavern «Aligerini» (since 1620). Kiliomenos is the last village on the mountains before getting to Zakynthos valley, where you will pass through Maherado village. There you can visit Saint Maura's church. Also, you can visit the Comoutos estate (since 1638) in Agria in Maherado village. Lady Comoutos will show you the winery and tell you everything about Comoutos Wines, the estate's and its' owners' stories (stories which are part of Zakynthos history). 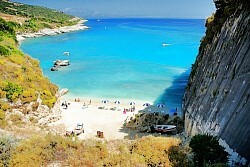 Then you get back to Alykes through the main road Zakynthos - Alykes. 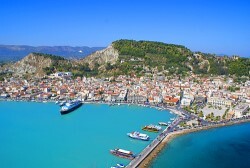 You can get to Zante town by car or by bus. You can get the bus from Alykes crossroads or Alykanas Center. You can go shopping on the Harbour Road or Alexandrou Roma Street. From the bus station you can get a bus for a round of the island. 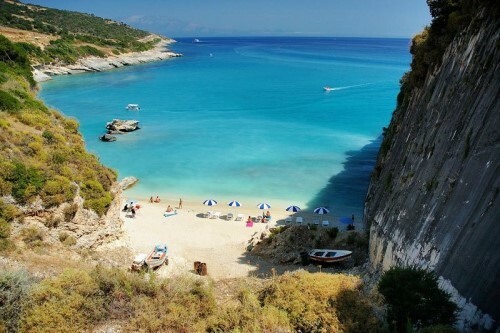 On your way back you can visit Tsilivi beach or Saint Nicholas hill top (Meso Gerakario Village). If you visit town at night, Arekia tavern is a very good choice to spend the night. Folk music & good food. 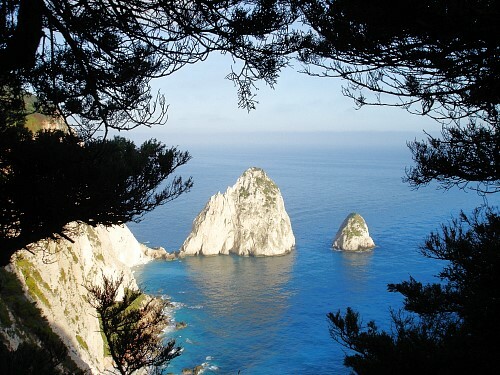 To get to Lagana or Keri you follow the Alykes - Zakynthos main road and before getting in the town you turn right and follow the road that leads to the airport. Lagana is a place for RAVERS and is famous for its night life. From Lagana you can get a boat for a turtle tour or a tour around the little islands (Marathonisi & Pelouzo) in Lagana bay. Leaving Lagana you take the road through Pantokratoras and Lithakia village and you end up in Keri Lake. In Keri Lake there is a little port, from where you can take the boat for Keri Caves. Another good idea is to visit Keri village. Try to be at the Keri lighthouse at sunset time. The Ferry Boat for Kefallonia (also Kefallonia is connected with Killini) starts off from Saint Nicholas. The trip is about one hour long sod docks to Pesada. In Kefallonia you can visit Saint Gerasimos monastery, Drogarati cave, Melissani lake, Ag.Efthimia village, Assos, Fiscardo and the capital Argostoli. 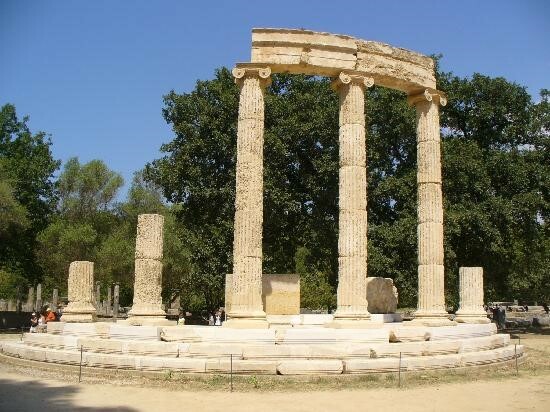 You can also visit Olympia, the birthplace of the Olympic games. Visit the archeological museum, Olympic museum and the Olympic site. 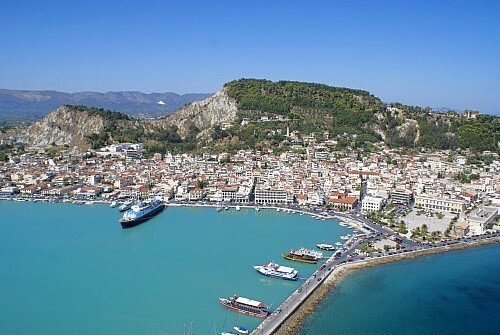 To get there you must take the ferry from Zakynthos town to Killini, and after about 30km by bus or car you get to Olympia new village with its many gold shops. Many local tourist agencies organize various excursions. Katastari Village (which is more a small town) is divided into 5 parts Hartata, Mavra, Laperda, Central Katastari and Alykes Beach. 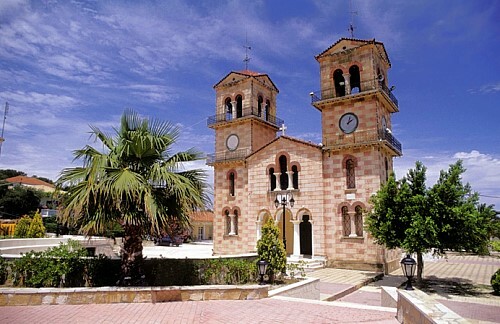 Katastari has a Public Doctor's Office, Pharmacy, Library, Secondary School, High School, the Town Hall of Alykes District and a lot of Churches to visit with the biggest one in the central plaza of the village (Panagia). In the main square there is a Bakery, Kiosk, Fresh Meat Market, Coffee Bars and a Taverna. In Hartata you can visit Saint John Monastery (the icons in the main church are from the 17th and 18th century). In Laperda you can see the village's main water spring. Passing through Laperda you can walk all the way to the north end of Alykes Beach. In Alykes you see the Salt lakes (Alykes means Salt field), S. Nikolaos little Church, Pentocamaro Brigde or one of the two little harbours. Also you can visit Xigia-cave 4-5Km in the north side of Alikes Bay. Its size is 6mx0,8m. There you can find the famous Xigia-health spring. The waters are «creamy»(white color) and contain magnesium and calcium. You can walk or cycle all the way to Saint Nicholas hill top (Upper Gerakarion Village). Another suggestion is to walk to the Alykanas Old Village Centre or Ag. Kiriaki Church & little port part of Alykes Bay or Alykanas older Beach. Also Vertzagio Museum of Folk Art in the next village Pigadakia is a good option. Last thought is to hire a boat and go around the island on your own or horse-riding or even spend your whole day fishing at the Skourtis river.